"White House, June 1st, 1789"
The president was a little bit nervous for days on end; and he was bemused because of his thoughts which he abstained to confess to himself, but it was requiring that his ideas should become reality for the future of America. He was in conscious of this but he had definitely made a decision; just at that moment, he summoned his staff Andy who he loves very much. Andy had understood that somethings went wrong; he was being able to see President's nervous situation; they caught each other's eyes; and the President notified that he assigned Andy for a new duty; he said that it is not possible to be unsuccessful in his new duty; and congratulated him. 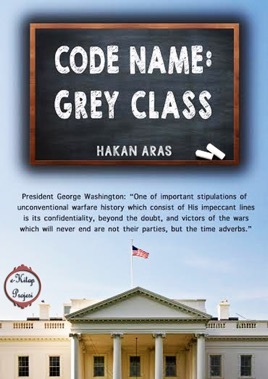 No longer, Andy was the teacher of the Grey Class; Andy's apprehension had started to increase, and he was trying to attribute meanings to those what had been, and on the other hand he was also carefully hearing the President. The president was telling Andy the Grey Class, its departments, his duties; and was not hiding his excitement; Andy was being the more surprised the more hear him; and also getting excited as well. Andy was carefully examining the file which had put before him; departments for the Gray Class and their responsible staffs, and also his students and sidekicks were written in the file. The President had submitted to his staff his program which will create the strategy, will design the strategy of the world, and will transfer America into world emperorship.